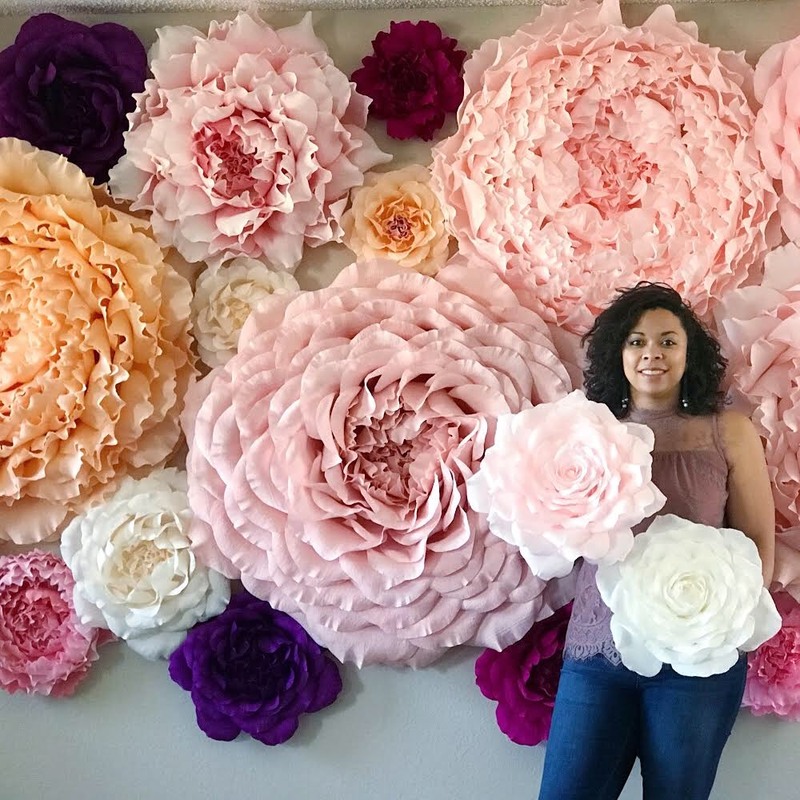 Come learn how to make a giant paper wallflower from Priscilla Park of Sophia & Rose Collective! In this class you will learn the basics of crepe paper flower making and will leave with a beautiful wall flower made from premium Italian crepe paper. We will be using 180 gram crepe paper which is very flexible and allows you to make realistic curves and shapes for your petals. The wallflower we’ll be making will be about 15” wide and a variety of color choices will be available. Sophia & Rose Collective started with a passion for creating! We are a whimsical and boho inspired party and home decor shop based in Orange County California and we want to make something special just for you! Our products are unique and all handmade with love. If you are looking for something and don't see what you need, ask us about making something custom just for you!